Kaiser, Philip. Journeying Far & Wide. A Political and Diplomatic Memoir. New York. Charles Scribners. 1992. Octavo. Hard cover. First edition. Illustrated. Fine copy in fine dust jacket (in mylar). Kale, Herbert. 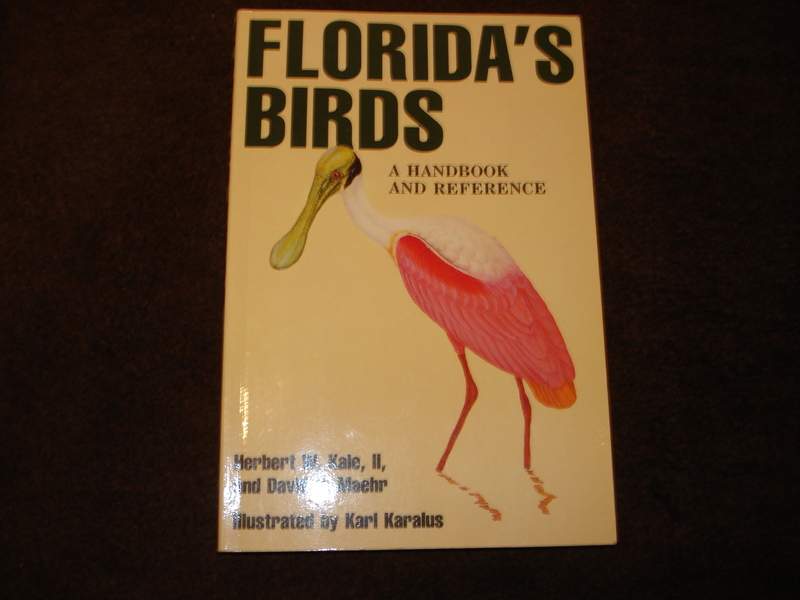 Florida's Birds. A Handbook and Reference. Photo available. Sarasota. Pineapple Press. 1990. Octavo. Soft cover. Illustrated in black, white and color by Karl Karalus. Fine copy. Kalergis, Mary. Home of the Brave. Contemporary American Immigrants. New York. E.P. Dutton. 1989. 4to. Hardcover. First edition. Illustrated. Fine copy in fine dust jacket (in mylar). Still in glassine wrapper. Kalish, Nancy. Lost & Found Lovers. Facts and Fantasies of Rekindled Romances. Photo available. New York. William Morrow. 1997. Octavo. Hard cover. First edition. Fine copy in fine dust jacket (in mylar). Kallman, Harmon (ed). Restoring America's Wildlife. 1937-1987. The First 50 Years of the Federal Aid in Wildlife Restoration (Pittman-Robertson) Act. Washington. Department of the Interior. 1987. Octavo. Hard cover. First edition. Illustrated in black, white and color. Fine copy in fine dust jacket (in mylar). Kalmar, Stephen Sam. 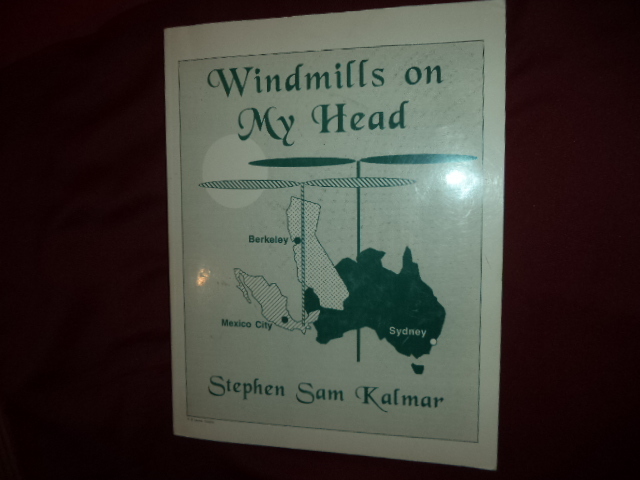 Windmills on My Head. Photo available. np. Self published. nd. 4to. Soft cover. First edition. Illustrated. Important reference work. Letter from author laid in. Fine copy. Kalter, Suzy. The Complete Book of MASH. Photo available. New York. Harry N. Abrams. 1984. 4to. Hardcover. First edition. Illustrated in black, white and color. Fine copy in fine dust jacket (in mylar). Kaminskas, Michael. Miracle Material. A Book of Close-Up Magic. Photo available. Tahoma. L&L Publishing. 1996. 106 pps. 4to. Decorated hard cover. Stated first edition. Illustrated. Important reference work. Fine copy in fine dust jacket (in mylar). Kamm, Josephine. The Hebrew People. A History of the Jews. New York. McGraw-Hill. 1967. 224 pps. Octavo. Hardcover. First edition. Illustrated. Fine copy in near fine dust jacket (in mylar). Kan, Johnny. Eight Immortal Flavors. Secrets of Cantonese Cookery from San Francisco's Chinatown. Photo available. Berkeley. Howell-North Books. 1970. 248 pps. Octavo. Hardcover. Reprint. Illustrated. Important reference work. Fine copy. Kane, Harnett T. Gone Are the Days. An Illustrated History of The Old South. Photo available. New York. Bonanza. 1989. 344 pps. 4to. Hardcover. Reprint. Illustrated. Important reference work. Fine copy in fine dust jacket (in mylar). Kanfer, Stefan. Ball of Fire. The Tumultuous Life and Comic Art of Lucille Ball. New York. Alfred A. Knopf. 2003. Octavo. Hard cover. First edition. Illustrated. Fine copy in fine dust jacket (in mylar). Kanfer, Stefan. Groucho. The Life and Times of Julius Henry Marx. Photo available. New York. Alfred A. Knopf. 2000. Octavo. Hard cover. First edition. Illustrated. Fine copy in fine dust jacket (in mylar). Kanin, Garson. Hollywood. Stars and Starlets, Tycoons... New York. Viking Press. 1974. 393 pps. Octavo. Hardcover. First edition. Fine copy in fine dust jacket (in mylar). Kanin, Garson. Hollywood. Stars and Starlets, Tycoons... New York. Viking Press. 1974. 393 pps. Octavo. Hardcover. Reprint. Fine copy (name blacked out on end paper) in near fine (light shelf wear) dust jacket (in mylar). Kanin, Garson. Together Again! Stories of the Great Hollywood Teams. Photo available. Garden City. Doubleday. 1981. 4to. Hardcover. First edition. Illustrated. Fine copy in edge worn dust jacket (in mylar). Kanisto, Vaino. The Advancing Frontier of Survival. Odense Monographs on Population Aging 3. Odense. Odense University Press. 1996. Octavo. Hardcover. First edition. Illustrated. With errata slip. Fine copy in fine dust jacket (in mylar). Kantor, MacKinlay. Hamilton County. New York. Macmillan. 1970. Octavo. Hard cover. First edition. Illustrated. Fine (owner name on end paper) copy in edge chipped dust jacket (in mylar). Kaplan, Alice Yeager. The Collaborator: The Trial and Execution of Robert Brasillach. Chicago. University of Chicago Press. 2000. 308 pps. Octavo. Hardcover. First edition. Fine copy in fine dust jacket (in mylar). Kaplan, Harold. Pocket Handbook of Primary Care Psychiatry. Baltimore. Williams & Wilkins. 1996. Octavo. Soft cover. First edition. Illustrated in color and black & white. Near fine copy (very light shelf wear). Kaplan, Joel. Murder of Innocence. The Tragic Life and Final Rampage of Laruie Dann. New York. Time Warner. 1990. 335 pps. Octavo. Hardcover. First edition. Illustrated. Fine copy in fine dust jacket (in mylar). Kaplan, Lawrence (1969- ), William Kristol. The War Over Iraq: Saddam's Tyranny and America's Mission. San Francisco. Encounter. 2003. 153 pps. Octavo. Hardcover. First edition. Fine copy in fine dust jacket. Kaplan, Michael. Chances Are... Adventures in Probability. New York. Viking Press. 2006. Octavo. Hard cover. First edition. Illustrated. Fine copy (remainder mark, bottom edge) in fine dust jacket (in mylar). Kaplan, Robert D. The Ends of the Earth. A Journey at the Dawn of the 21st Century. New York. Random House. 1996. Octavo. Hard cover. First edition. Fine copy in fine dust jacket (in mylar). Kaplan, Sam Hall. LA Lost & Found. An Architectural History of Los Angeles. New York. Crown Pub. 1987. 4to. Soft cover. First edition thus. Illustrated in black, white and color. Fine copy.